← New Vegan Omaha Shirts! 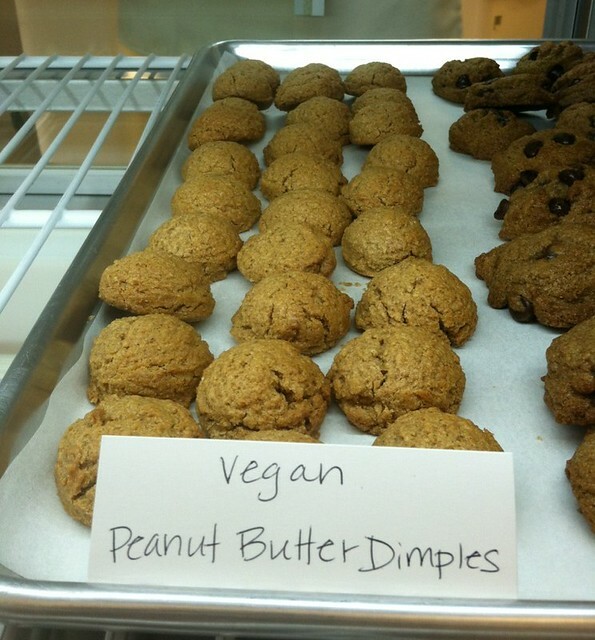 So many new and awesome Vegan-friendly places have opened this year! 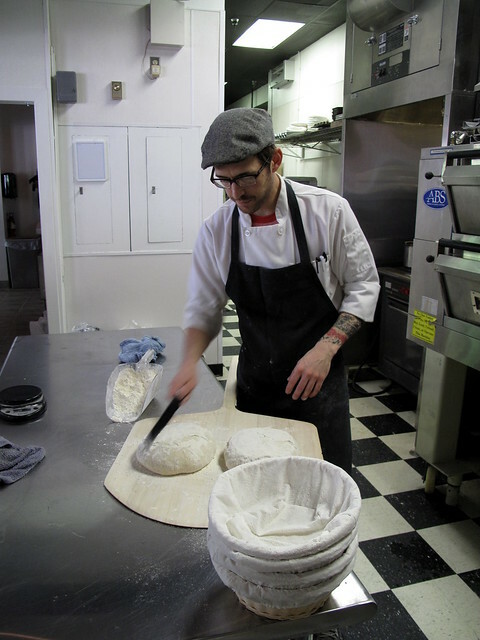 Carrying on that streak is Two Birds Bakery in Elkhorn and Culprit Cafe & Bakery in Downtown Omaha. I’ve been anticipating both openings for some time. As you may recall, Two Birds Bakery donated a ton of goodies to the Bakesale for Japan and Culprit was responsible for supplying Caffeine Dreams with Kolaches and Cinnamon Rolls. So both have been active in the Omaha community for awhile and now it’s their time to shine! 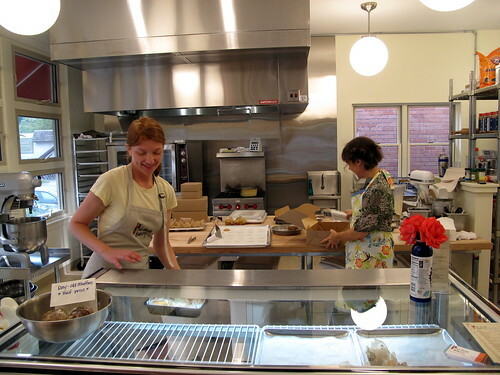 Two Birds Bakery is run by Megan Thomas and Trilety Wade. They operate out of the old Elkhorn Post Office, which was built by Trilety’s Maternal Great-Grandfather (how cool is that!) But there is no doubt that this is a modern bakery. On the Saturday morning I visited, there were four Vegan muffins and one Vegan cookie. Trilety and Megan said they will always have multiple Vegans options on hand. 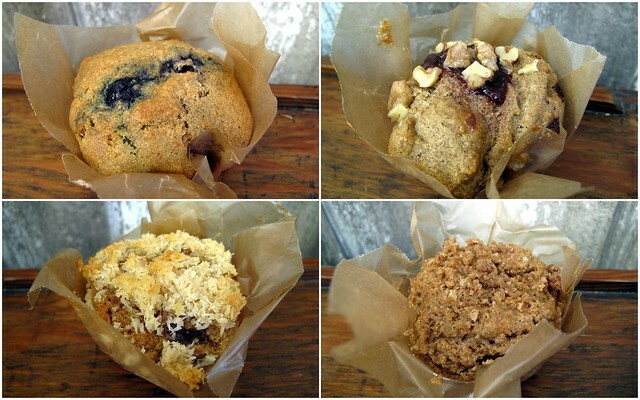 Their muffin schedule is Tuesday/Wednesday- Vegan Ginger Blue & Vegan Sgt. 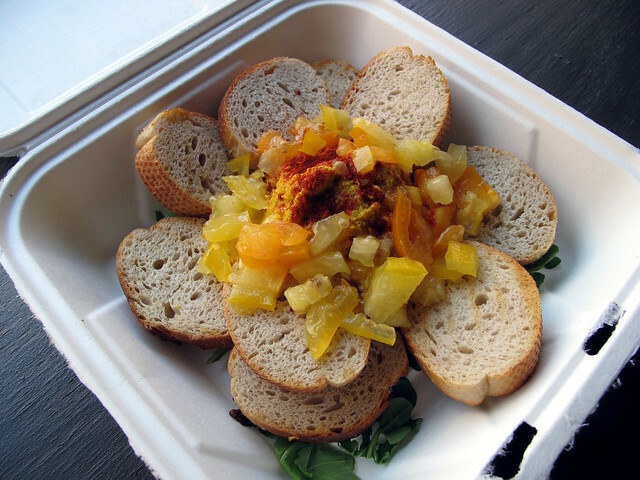 Peppers and Thursday/Friday- Vegan Coffee Cake and Vegan Curry of Kali. So make sure you get up to Elkhorn to check it out! Luke Mabie is the Kolache king. If you’ve been to Caffeine Dreams in the last two years, you know what he can do. Also, he made those Vegan Cinnamon Rolls I’ve been dreaming about. So you can deduce that I’ve been eagerly anticipating Luke’s new endeavor! He is all about the details; simple ingredients with no shortcuts. Luke wants Culprit to be all about coffee, water and flour. Fresh bread is out of the oven at 3pm, just in time for supper. 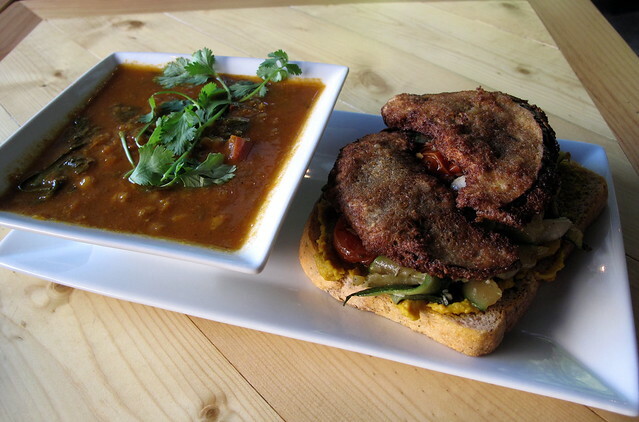 On my visit to Culprit, I dined on the Open-Faced Veggie Sandwich, Mediterranean Soup and the Hummus Plate. 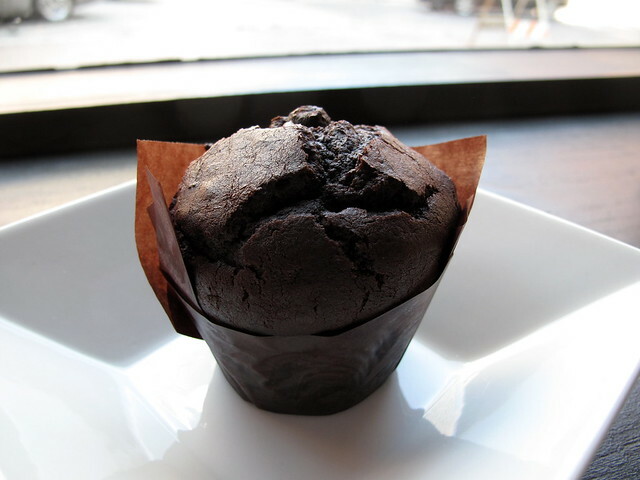 They also had a Vegan Double Chocolate Muffin! Luke promises he’s going to keep the Vegan goodies coming with the triumphant return of the Vegan Cinnamon Roll and a new Vegan breakfast option. Also, good news for us Amsterdam Falafel fans! Luke is going to start making the new Amsterdam Falafel bun and it will be 100% Vegan. 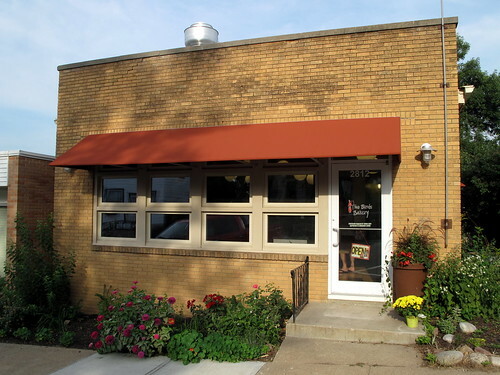 Congrats to Two Birds Bakery and Culprit Cafe Bakery for two successful openings! We appreciate all of the Vegan options and we promise to visit often.